Anyone who makes even a modest habit of speaking out against war in public soon runs up against the inevitable, supposedly unanswerable question: What about World War II? (We have a whole category devoted to it.) It’s meant to be the ultimate stumper. This was the “good war,” wasn’t it, the war waged by the “greatest generation” against the evil incarnate of Hitler and imperial Japan? There was simply no other choice before the forces of goodness and truth but to leap into the single most deadly undertaking in all of human history. Right? the more I learn about the war, the more I understand that the pacifists were the only ones, during a time of catastrophic violence, who repeatedly put forward proposals that had any chance of saving a threatened people. They weren’t naïve, they weren’t unrealistic—they were psychologically acute realists. His thinking began drifting this way during the Gulf War, and continued to evolve through the sequence of American military operations since. In the Balkans, in Afghanistan, in Iraq, and in talk about bombing Iran, he noticed that World War II kept coming up. It kept being used to justify one war after another. Every new enemy only had to be painted as another Hitler to ensure public support. By 2008, Baker published Human Smoke, a book that collects documents, newspaper reports, and notable utterances during the lead-up to World War II, revealing how determined the Allied leaders were to fight at any cost. But, because of its form, we don’t get much of his own voice in that book. “Why I’m a Pacifist” is a chance to hear more directly from Baker himself about how he came to the conclusions that he did about the war. WNV: Why did you decide to write Human Smoke the way you did, and why now write about World War II again as you do in Harper’s? NB: Human Smoke deals atomistically with the beginnings of the war because I thought that was a good way of conveying the confusion and sadness of what was going on. You have to pause and think moment by moment in order to feel the gradual disintegration of civil restraint. The book stopped at the end of 1941. The Harper’s piece mostly concentrates on events from 1942 on, and it’s an effort to take up one big question: Were the pacifists right in calling for an immediate negotiated peace? WNV: Why do you say at the outset of the essay that you don’t expect most people to be persuaded? Is pacifism really such a lost cause? NB: No, pacifism isn’t a lost cause—in fact, most people, even generals and headbanging bar brawlers, act peaceably most of the time, or we’d get nothing done. “I’m not going to kill you” is basic to all cooperation. But during wars, pacifists are often in the minority and their arguments (so I’ve found!) make people really mad. Over time, these same people may and often do change their thinking, but it isn’t going to happen all at once. An inductive “nonviolent” approach to argumentation sometimes helps. WNV: What do you think American pacifists can do now, or should have done, to stop wars in Afghanistan, Iraq, and now Libya? NB: American pacifists made heroic efforts to end those wars, using every channel available. They deserve our thanks. Afterward, when more people acknowledge that a military attack was a mistake, it helps to go back and see who really understood what was going on. I find it incredibly moving to see how right they were. Being able to stop a war isn’t the only reason for protesting a war. You may fail, but you still want to get it on record that there was an obvious better way as it was happening. The objection to any war has to be steady and constant, and one way of objecting is to re-examine historical touchstones. I wrote Human Smoke and “Why I’m a Pacifist” to recall, as others have, that the war resisters of World War II offered paths out of the horror at the time. Their steadiness and belief in reconciliation can help us now. We need new heroes. I’d rather think about Jessie Hughan, Abe Kaufman, Dorothy Day, Rabbi Cronbach, or Vera Brittain than Winston Churchill. WNV: What business does a novelist have to write on matters of war and peace anyway? NB: Tell that to Tolstoy. Jews and other classes of people were pacifists during the war, with the exception of small challenges (Warsaw Ghetto Uprising; isolated guerilla tactics) to Hitler’s tanks and Hitler’s might. Look where it got them. Mass extermination and ethnic cleansing. 6 million dead; another 6 million also killed. What stopped Hitler,the Japanese, Italians, and their allies during WWII, also remember the Japanses bombed Pearl Harbor and also killed hundreds of thousands of ethinic Chinese and Koreans during the war, was a collective military force stronger than their own. War is historic and inevitable. It is part of the human condition as much as “peace” is. Pacifism is an excuse to avoid having to take a stand and be counted when one nation attacks another. It is unrealistic and fantasy to assume war can ever end. It is a western concept and frankly lacks any relevance to other cultures. Doesn’t the Pope have an army? Yes, he does. Bob, thanks for your note. I’m not sure it’s much of an argument to say that “war is historic and inevitable.” Lots of things that have happened many times before don’t need to happen again. As to pacifism being a “western” concept—actually, it’s pretty remarkable the extent to which, in the Gandhian synthesis, modern pacifism is a quite rich exchange between European and Asian ideas. I’d also suggest thinking about the distinction between passivity and organized nonviolent resistance. Even amidst the carnage of war, there were some important instances of successful nonviolent resistance against Hitler that, if given a fraction of the resources and attention of the ineffective bombing campaigns, might have made it possible to deal with Nazi aggression with far fewer than 60 million dead. For example, take a look at this essay by my co-editor Bryan Farrell. Short of that, though, Baker also points out that one of the real tragedies of the years leading up to World War II was how unwilling the US and Britain were to take Jewish refugees who wanted to escape Nazi repression in Germany. The wisdom of what Baker is saying is not that, simply, the pacifists were right in calling for war to end. They were right because they offered real options for dealing with Hitler that were better than the ones the generals provided. 1. I get that it is a beautiful act of humanity to lay down en masse on train tracks or hide groups of people in the woods or on a boat, but how do these acts of non-violence put an end to the Bombing of London or the U-boat wolfpacks? How does it stop the Wehrmact from rolling over Stalingrad and on to glorious occupation of the Baku oil fields? I see the non-violence as only being able to take place within a context of RAF and Royal Navy military victory in those early days. And without a do or die stand in Stalingrad Europe as we know it remains in Nazi hands for a very long time. 2. How does the non-violence or negotiated peace satiate Hitler’s madness or the thirst of the German industrialists for economic power and profits? In my memory, the French and British did not want to fight the Germans at any cost during the mid to late 1930s and beyond. They gave negotiated peace all the room in the world to become effective prior to 1 September 1939, did they not? These are not rhetorical questions for sake of argument but truly my first impressions on this specific question in an attempt to understand something I admire as an idea, but remain unconvinced as to their practical application given the total set of circumstances in Europe in that time. Jeffrey, I think your concerns are at least partly addressed in Bryan’s essay, which I point to in the above comment. Overall, though, I think the important thing to recognize is that true nonviolent action and active pacifism meant not simply performing self-sacrificing acts of conscience, but actually working to prevent disaster and create an alternative to it. The way I’d respond to your first point, probably, is to mention the Danish resistance, which was an example of a successful, large-scale resistance to German occupation that was generally nonviolent. To your second point, the French and British were working with the false choices of denial-based appeasement and all-out war. What the pacifists were calling for was neither; it was an active, but nonviolent, resistance to Hitler’s regime. One needs to look no further today than the Egyptian revolution, and the Arab Spring generally, to remember that even rather maniacal dictators can in fact be opposed through nonviolent means. However, I think it’s true that there is still a lot to learn about how to do so in an international context—how the international community undertake a nonviolent conflict against a given regime. This is being explored in contexts like the International Criminal Court, the United Nations, and, most of all, through popular movements on behalf of occupied populations in places like Palestine and Tibet. Thanks for your reply. It is all very interesting and I will have to read Human Smoke to get more of a sense of these ideas. I’ve a degree in European History and these concepts are not too widely reviewed at the undergraduate level so it is all very fascinating, especially the stories of Danish resistance, of which I know very little. These arguments, ultimately, are only defenses of pacifists and not pacifism. There is a very big difference, if not in rhetoric, then certainly in practice. You have turned our attention, not to the pacifists’ pacifism, but rather to their proposed “Alternate paths” of resistance, for example, taking in refugees, marches, civil resistance, etc. This is not the same thing. First, it is not a very strong argument for pacifism as an “-ism”, as nonviolent and violent resistance needn’t be mutually exclusive. This could include violent resistance at the individual, community, or state level- its a false dichotomy to insist they are necessarily mutually exclusive with any of the types pacifist activism you refer to. Do proposed “alternatives” work in all cases? There are plenty of examples of wars where there is an element of necessity and justice that is difficult for third-parties to convincingly deny- and not just World War 2. I could turn your attention to the Zulu War against the British, and the question would suddenly become much murkier. Finally, who gets to be a pacifist? In the case of world war II, your focus on pacifists resisting the Nazis by other means rings hollow in some cases as there were self-identified pacifists who were in fact fascist sympathizers- a important piece of that history I’m sure you know well. The better questions could well be, why hadn’t nonviolent activism (for example, the White Rose Campaign) successfully impeded Hitler’s rise? Where on the map is nonviolent activism actually successful and why, who is the audience in the West for symbolic acts of resistance abroad, and who is expected to conform to pacifists sensibilities and why? 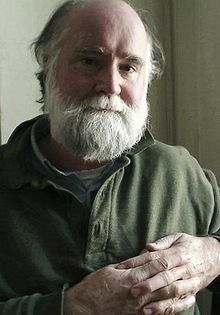 In that context, let’s discuss militarism and pacifism, not only as abstractions but what they really are in practice. 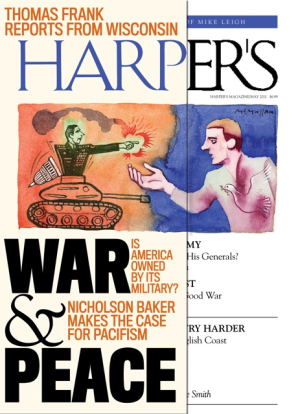 If you read Baker’s piece in Harper’s he provides an excellent analysis of and response to the issue of the fascist sympathizer pacifists.